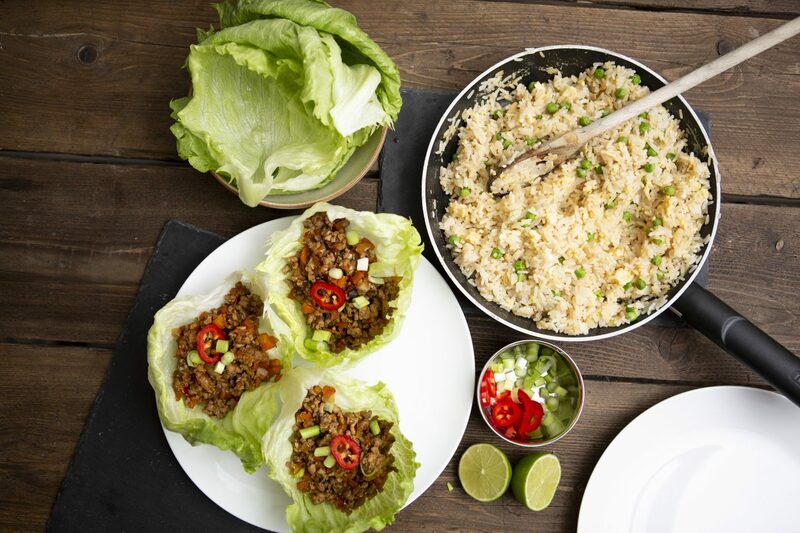 These coeliac friendly asian lettuce wraps are incredibly delicious and packed with flavour. 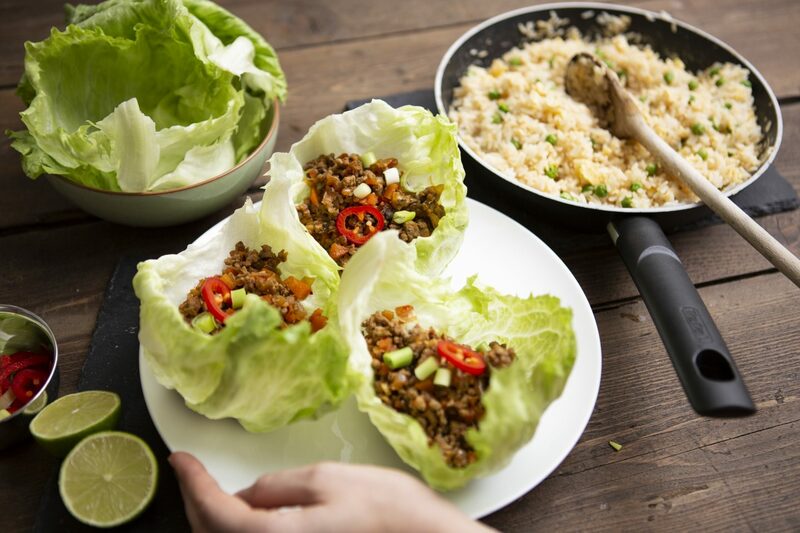 As inspired by PF Changs (a Chinese restaurant chain predominately based in the US – a favourite of mine) that serve incredible chicken lettuce wraps – the first time I tried these, I knew I had to create a gluten free version in my own kitchen. I used turkey mince, lots of veg and a few simple ingredients that you can find at your local supermarket. I absolutely LOVED how these came out, the different textures and incredible taste… AND they are surprisingly easy to make! 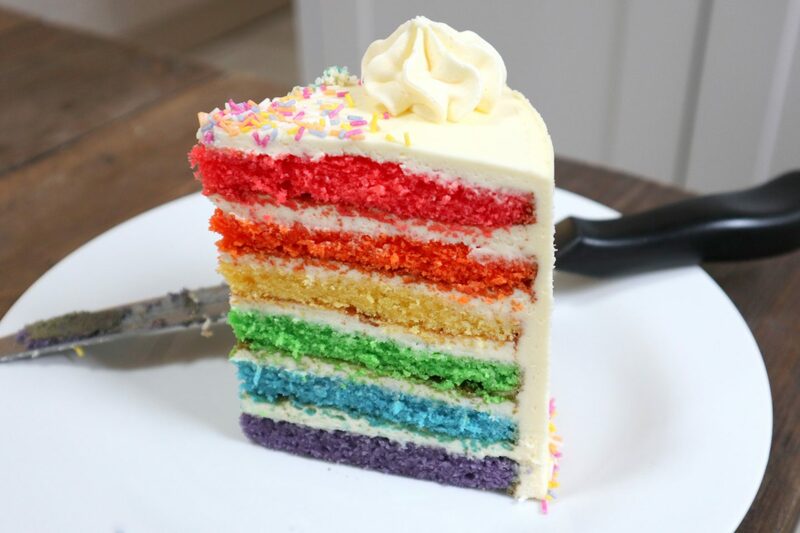 See the recipe below! In a large pan over a medium/ high heat, add sesame oil and the crushed garlic cloves, followed by the diced onions and carrots and fry until just soft. 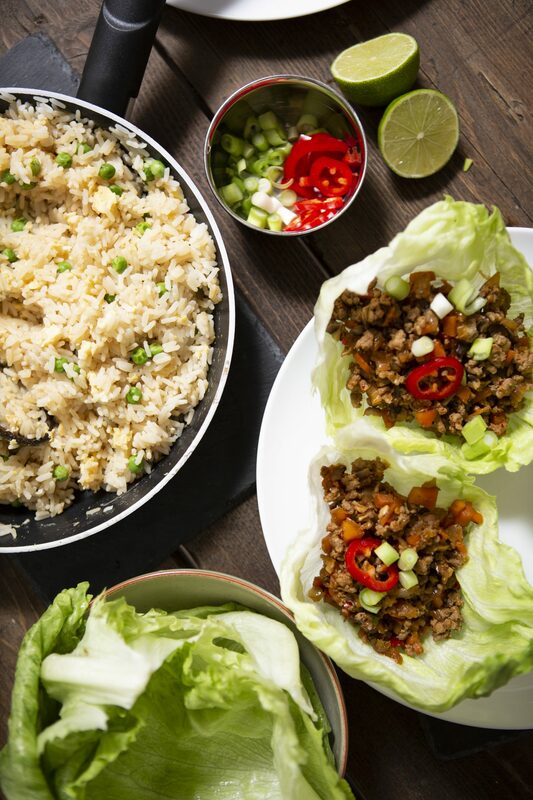 Throw a little sesame oil in a separate pan, add the turkey mince and gently fry and break up until the meat is cooked. Add salt & pepper to season. Once done, add the meat to the pan with the carrots and onions. Next, make the sauce. Mix together the soy sauce, white wine vinegar, fish sauce, sriracha, grated ginger, brown sugar, tomato puree and chilli (if using). Once combined, add into the pan with a little more salt and pepper. Finely chop the mushrooms and water chestnuts (if using) and add to the pan. Combine everything well and allow to simmer over a low heat to let the flavours infuse. Add a small splash of water if the mixture looks dry. Wash and separate your lettuce leaves. Tip: run them under a cold tap to gentle separate the leaves from one another, then pat dry. 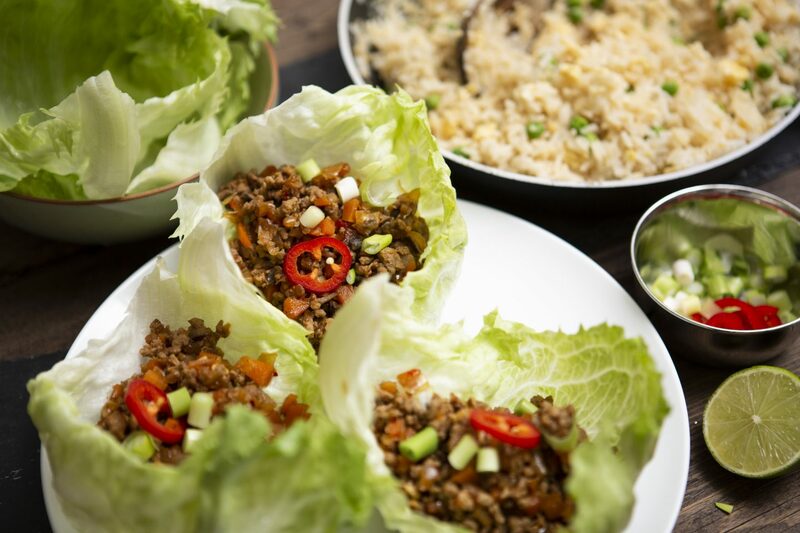 Fill the leaves with the mince mixture, top with chopped spring onion and serve! I love throwing in the water chestnuts for additional texture and depth, but I know they are not for everyone so they are optional! I have to say, I am thrilled with how these came out and I know I will be making them time and time again. A great fresh and healthy lunch or dinner option. Let me know if you would like to see more savoury recipes and if you would like a recipe for my easy egg fried rice too! ?